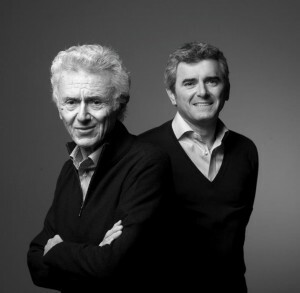 Since 1964, Georges Duboeuf values the famous territory of Beaujolais. He made a commitment to promote this vineyard in France and all over the world. A success, because since his wines are exported all over the planet. This gratitude is partially due to the attention of every instant which Georges Duboeuf dedicates to the wine growers, to the wine making, to the breeding of his wines and to the bottling. He rigorously selects every year the most beautiful cellars and the best vintages. We can find the attachment to his people, to his land and to his vineyard in all the bottles signed by this beautiful wine house.